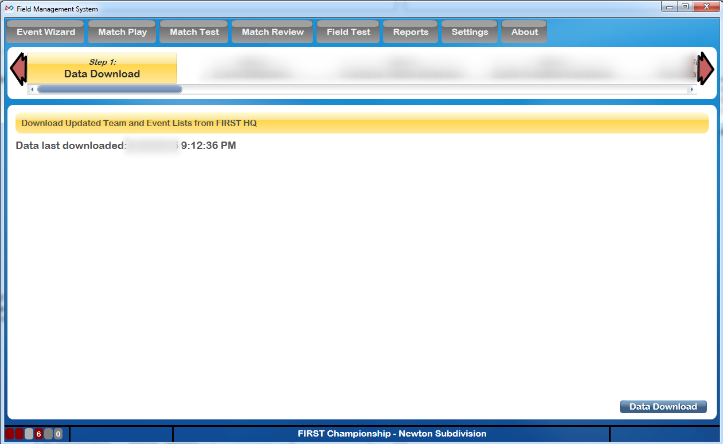 The Data Download step of the Event Wizard is used to download the complete event list of all official FIRST Robotics Competition Events and Teams. It will also ensure that the data is up-to-date with any changes the team may have made to their Team Registration profile. When applicable, this also downloads all available Team Avatars. In FMS Off-Season, this step does not download anything, the software installation includes the complete registered team list from the current FRC season.